Yellowstone wolf 778M being captured during this year's research Photo: Yellowstone Wolf Project For over thirty years, Douglas Smith has been studying wolves, and has worked on the wolf restoration project in Yellowstone since it’s inception. 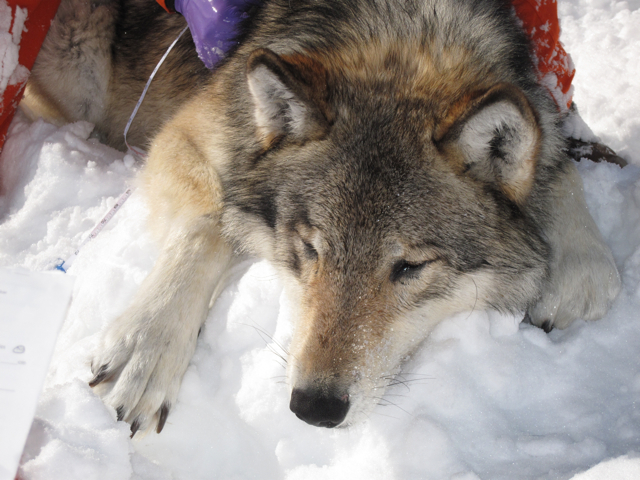 But this year during his annual winter research, he was taken aback by the sight of a remarkable wolf his team captured for study, 760M, now the largest wolf ever recorded in Yellowstone. 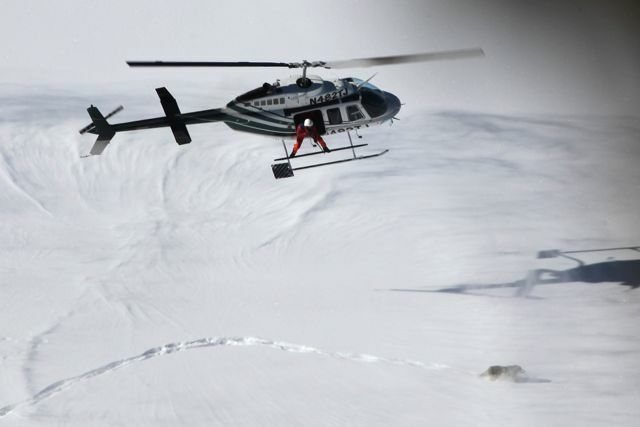 Doug Smith darting wolf 780M during winter research this year in Yellowstone Photo: Yellowstone Wolf ProjectHis research this year also showed that after two consecutive years of declines, the wolf population has largely stabilized in Yellowstone. The northern range wolves suffered the most declines in prior years, but the decreases have leveled off according to the most recent counts. And with this stabilization, Smith believes the ecosystem as a whole is becoming more balanced. The full interview with Douglas Smith will be published in National Parks Traveler on April 7.